Former presidential adviser Sebastian Lazaroiu (in picture) has been recently named Labor Minister in Romania, his appointment having already been signed by Romanian president Traian Basescu. 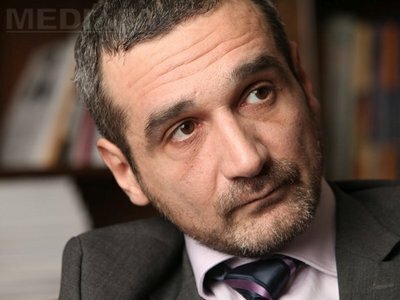 Lazaroiu, who quit the presidential adviser position at the end of April this year, previously said he wanted to dedicate himself to political analysis and decided to quit the job to avoid having his analysis linked to the presidency. Lazaroiu has recently said in the media that Romanian Prime Minister Emil Boc should resign and be replaced by a technocrat prime minister, while ministers can be appointed on political grounds. Sebastian Lazaroiu has been presidential adviser since 2007, in the Planning and Political Analysis Department within the Presidency. Before taking the adviser seat, he was head of the Urban and Regional Sociology Center – CURS. He is also a professor at the Communications and Public Relations Faculty in the political communication Masters program, as well as professor at the Sociology Faculty, for the marketing and polls Masters program. The former Labor Minister Ioan Botis resigned in April this year, after the media reported that his wife was involved into a EU funds project under the management of the Labor Ministry. Prime Minister Emil Boc covered the Labor Minister position as interim in the last 43 days.